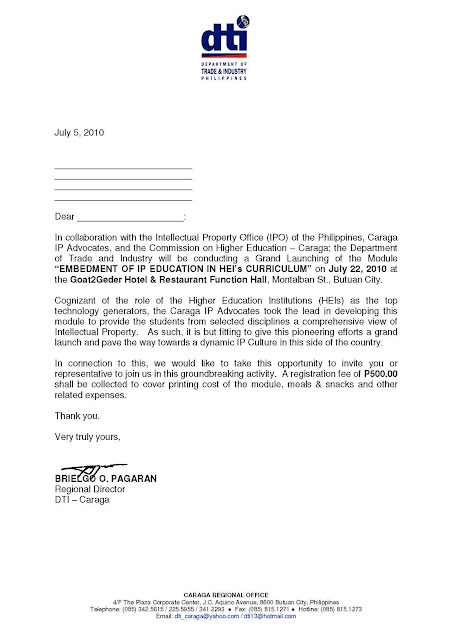 In partnership with the Intellectual Property Office (IPO) of the Philippines, the Caraga Intellectual Property Advocates (Caraga IPAd) and Department of Trade and Industry will be launching the Module for the embedment of Intellectual Property Education in HEI curriculum on June 22, 2010 at Goat2Geder, Butuan City. 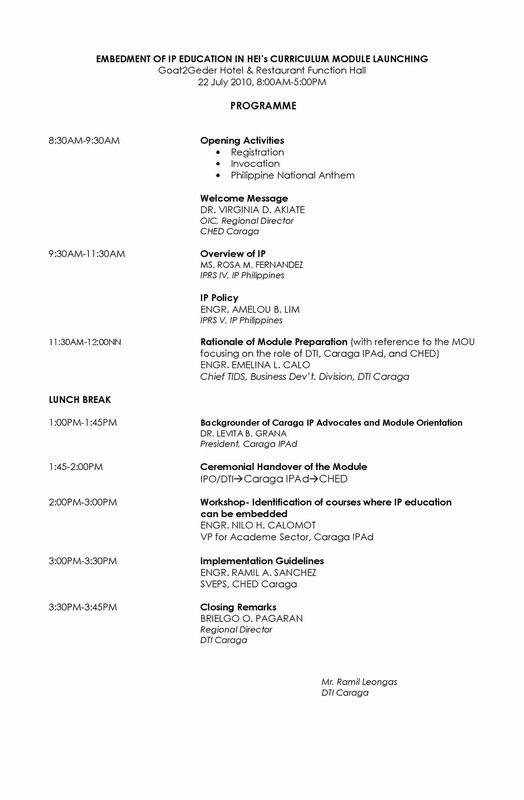 This launching event marks another milestone in the higher education institutions in Caraga region. 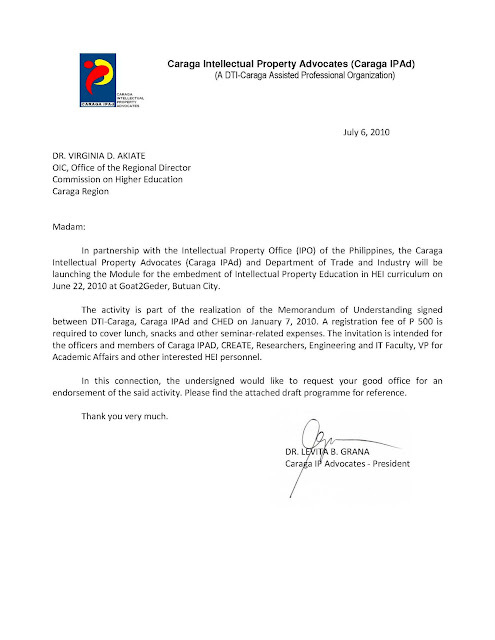 The activity is part of the realization of the Memorandum of Understanding signed between DTI-Caraga, Caraga IPAd and CHED on January 7, 2010.